Boxer & Gerson, LLP is one of multiple financial sponsors of a “Know Your Rights” workshop for immigrants and refugees taking place Saturday, March 11 at the Fruitvale San Antonio Senior Center in Oakland. The two-hour workshops will cover the same material in morning (10 a.m. to noon) and afternoon (1 p.m. to 3 p.m.) sessions, so that attendees can better fit the event into their schedules. The workshop was conceived as a concrete and supportive response by local human service agencies to the fear and uncertainty engendered by recent crackdowns on undocumented immigrant populations and those whom officials may suspect to be so. It will offer information and instruction, do’s and don’ts, about what to do in the event of a raid or deportation threat by Immigration and Customs Enforcement (ICE) officers on one’s self, family member or friend. The event reflects longstanding, explicit commitments by Alameda and many other counties in California to do everything possible to ensure the human and legal rights of U.S. residents, regardless of their immigration status. It is being supported by a number of Bay Area city and county governments, politicians, religious organizations, labor groups and others. 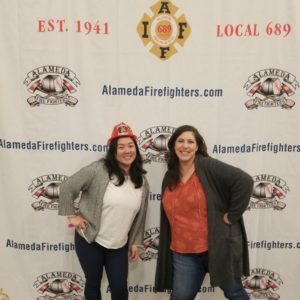 Boxer & Gerson, the largest workers’ compensation attorney firm representing injured employees in Northern California, was invited to support the event by the Alameda Labor Council, longtime associates in the struggle for workers’ rights.